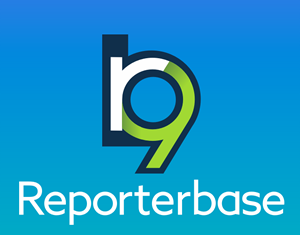 Now that the next generation of ReporterBase business management software, RB9, is available, how is it different from RB8, the industry standard for the past 10 years? If you know RB8, this section is for you: It highlights the changes in RB9 from RB8 in all areas of the software. RB9 is a major upgrade from RB8, which we are no longer updating. RB8 is 10 years old (which is ancient in software terms) and unable to take advantage of newer technologies that we think will better serve you going forward. If you are an RB8 client and participate in our Idea Collaborator, you might wonder why we did not incorporate a good suggestion made there into RB8. Instead, we have been taking the most popular and best ideas from the Idea Collaborator and using them to design RB9. For example, the Aged A/R Report generated a lot of complaints and suggestions in the Idea Collaborator, so it has been majorly redesigned in RB9. It was a static report in RB8, but in RB9 it is the truly useful tool for collections it should be. It is interactive so you can view the information as you want and for time periods up to 12 months+, plus all client and outstanding invoice information, even previous collection efforts documentation, is directly accessible from the report. RB9 is an SaaS(Software as a Service) Cloud platform and will be available by subscription only. The old purchase model required RB users to make a substantial investment in hardware, purchase an expensive software license upfront, and maintain a separate maintenance contract, resulting in a huge initial financial commitment. In addition, on-going outlays were required for hardware replacement or expansion, additional licenses, and software upgrades. On the other hand, RB9 can be started with a very small initial investment with no future expenses for hardware maintenance, replacement, or software upgrades. Furthermore, user licenses and storage space can be increased or decreased on demand offering efficient management of your financial resources. OMTI uses the Microsoft Azure platform for the same reasons. Web technology, including 3rd party components, are utilized in RB9 under the subscription model. The cost to each RB client to have their own copy of these components would be so expensive that it wouldn’t “pencil out” for our clients, so selling RB9 under the purchase model is no longer feasible. With a monthly subscription, instead of a large lump sum upfront for software and user licenses, our clients can manage their software expense as part of their regular overhead, adding and subtracting user licenses as needed, even canceling the entire program if needed without further financial obligation. If you already use RB8, either with your own server or in the cloud, you will find RB9 user licenses a little different from what you are familiar with. Because RB9 resides on Microsoft Azure’s Cloud Services, you never have to wait for your desktop app to update. You will always be working with the latest version of RB9 automatically. Security is always important when dealing with sensitive and critical information, such as much of the information court reporting and other legal support businesses handle. RB9 follows general security rules for business applications; and because RB9 resides on Microsoft Azure’s Cloud Services, you can be assured that your information is secure. Obsolete technologies have been eliminated, such as fax service. And essentials have been updated to state of the art, such as RB9’s email function, which is both simplified (you don’t need to know HTML to create email forms) and expanded (you can add images to your email forms). With the exception of RB Connect (the RB9 version of RB Web), most RB8 and RB Web plug-ins are included in their respective program for no additional cost. RB9 has the same modules as RB8. If you use RB8, there will be a lot of familiar features and functions. However, every module and function has been rethought and restructured to work better incorporating new technology and more flexible, streamlined workflows. For example, better screen layouts and interactive reports give you quicker access to information when you want it.